It is that time of the year again to celebrate and be thankful to survive a whole year of trials and triumphs, failures and success, happiness and grief, and welcome the New Year with open arms. If you have thought about Dubai to ring in the New Year’s for its splendid and larger than life display of fireworks, there is something more to add on it. Here are some ideas to spend an awesome Dubai New Years Eve. 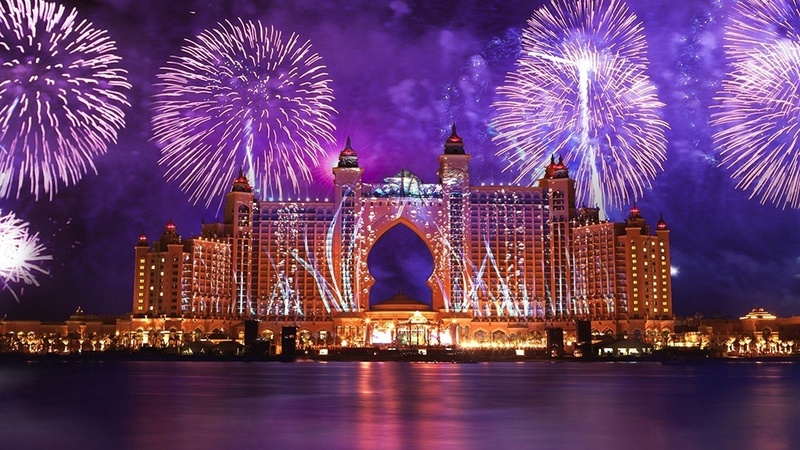 Be Part of the New Year’s Eve Royal Gala at Atlantis beach: The Atlantis Royal Gala holds one of the most high-class New Year’s Eve party in Dubai. Thus, if you have a place booked for a New Year’s Eve at this extravagant joint, you are sure to make many heads turn with the thought. Least to say you would begin a year with a bang! The sparking evening commemorates with champagne, canapés and welcome drink before the celebrations opens where a huge live band kick starts the entertainment and plays until the wee hours of morning. The bar is open the whole night serving premium quality unlimited alcoholic and non-alcoholic drinks along with free flowing champagne. The food menu consists of a luxurious buffet that serves everything from Caviar, Lobster to Fajitas and Shawarmas. There are live cooking stations along with children friendly buffet stations. Guests can even watch the Dubai Skyline, views of The Palm, and the impressive Atlantis. 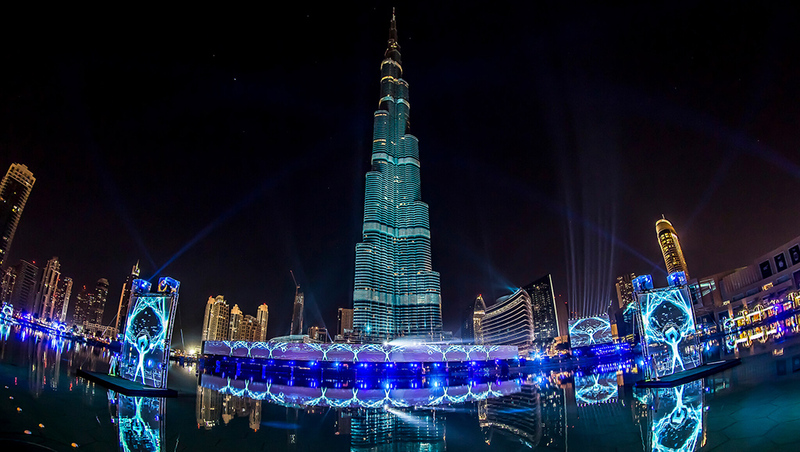 Watch the Splendid Fireworks at the Burj Khalifa: As the New Year countdown begins you are all eyes to witness the city come to life with a splendid and record breaking display of fireworks in terms of its size and longevity. The fireworks at Burj Khalifa never fails to entice the people as it increases its bar year after year making it even more special and a gorgeous affair to witness. To ensure that you get a good spot to witness the wonder, start early to head towards downtown Dubai. Indulge into a relaxing get-away at Burj-Al-Arab: The icon of Dubai, Burj-Al-Arab, is another hotspot for firework display. Owing to its majestic architecture, this world-renowned icon of Dubai comes alive with the grand display of lights. And to add that extra sparkle to your New Year celebrations you might as well head towards the nearby Jumeirah and Umm Suqiem beach, spread a cover and lounge around the beach to witness a never seen before splendour with the luxurious hotel lighting up! Take an exciting cruise around Palm Jumeirah: A delightful cruise with a bunch of friends on New Year’s Eve calls for a lot of fun and merriment. As the groovy yacht sails across the sea with its full mast, you are in to witness the record-breaking and stunning display of fireworks as the clock strikes twelve. The experience is not only exhilarating but something that can leave an imprint to be cherished for life. The stunning sights of ‘Palm Jumeirah’ Island and the picture-perfect ‘Atlantis the Palm’ would surely add more charm to the evening. Ensure that you take the front seat of the yacht to enjoy the thrill. A Tour at the RTA Marine Transport: If you are looking for special deals to watch the fireworks on waters, look no further than the RTA Marine Transport ride. There are water buses, Dubai Ferry, water taxi, and the abra to choose from. The cruise begins late in the evening. You also have the option to hire an exclusive water taxi and abras or buy individual tickets to board the water buses. This can be a great last minute option since a chartered yacht gets booked fast. Nevertheless with your people around you never know how much the fun quotient would rise! Check out for the Biggest New Year’s Eve Party in the City: On New Year’s Eve places such as Meydan throws one of the biggest and astonishing showdowns for the party lovers. With the worlds sensational rap artists playing the best music, it is too much to handle on a given night. Book your gang to the event, and let the party roll! Get Wild and Nasty at the Clubs: New Year being the biggest night of the year, there is no surprise that it is celebrated with grandeur at every nook and corner of the city. Night clubs that are quite popular for being the youth’s favourite place of hangout, turning to one of the night clubs is also a good move. There is great entertainment backed with great food at every club. You also get the privilege to watch the fireworks live on the big screen during midnight. Enjoy a special dinner at a restaurant or hotel: Not everyone belongs to the same category of people who wish to be part of a loud and big crowd for a celebration. There are a few who wish for a not so loud entertainment, but a good, satisfying dinner with their loved ones. For the New Years, there are specially prepared meals at every hotel or restaurant. You may think of heading to one of them and celebrate the beginning of the year in the most sober yet enriching way. Party at Home: If you wish to ring in the New Year’s at a place that exclusively belongs to you, a party at home is simply perfect. You can prepare your favourite meal or order something sumptuous, more so, ask your guests to bring a dish along. A party at home can get fun with people of all ages coming together and also indulging into some fun activities, music, dance and drinks. You raise a toast with your loved ones while you watch the splendour of fireworks on TV. Attend the New Year’s Eve Dubai Concert: If you have a penchant for music and feel gratified in its aura, attending a music concert on New Year’s Eve would prove to be a great start for the year. You can book yourself or the family or people with same interest at the Dubai Media City Amphitheatre and be part of an electrifying evening that gets better and better through the night. Relish a New Year Eve Desert Safari: A desert safari is an exciting endeavour for the New Year celebration that goes well with the kids and adventure lovers. The safari begins in the afternoon, giving you the opportunity to have a joy ride among sand dunes, the beautiful desert and get a splendid view of the sun set. Later in the evening a camp-fire awaits you with a delicious spread of international cuisine with live music, belly dancing, fireworks and creative henna paining to begin the New Year in one of the most thrilling yet peaceful ways. Organize a few games for the kids at home: It is always a better option to celebrate the New Year at home if you have growing kids. The cold chill evening and late night party does not suit kids of the smaller age group. Thus you may think of having a party at home and incorporating some games that will make them look forward to embracing the New Year and knowing how special the day is. These are some of the ideas to begin your New Year in the most fun and satisfying ways. A meaningful beginning to an event will make it easy to wind up and also make you look forward to bringing in more joy throughout the year. A very Happy New Year 2016! By – She is a writer by profession and often likes to pen down her travel experiences through blogging. She has been associated with travel industry from quite a long time.